Every year it’s a given that there’s a great many films that go without the recognition they deserve. When you take into consideration there’s thousands of films made every single year, and let’s try dwindling that down to maybe a few hundred that are actually worthwhile, there’s no way we can expect people to go out of their way to watch every single one of them. So naturally there’s a lot of films that will go under the radar of most viewers. Which brings us to the Internet Movie Database (IMDb). Statistically speaking 28.8% of IMDb visitors are from America, 70% of all rankings and voters are male, and the vast majority of all users and voters are Caucasian. So when you now consider how the production companies themselves will put hurdles in front of specific films and filmmakers to limit their distribution, combined with IMDb’s ways of appealing to specific demographics, it’s a given that there are films that will not get the due they deserve. 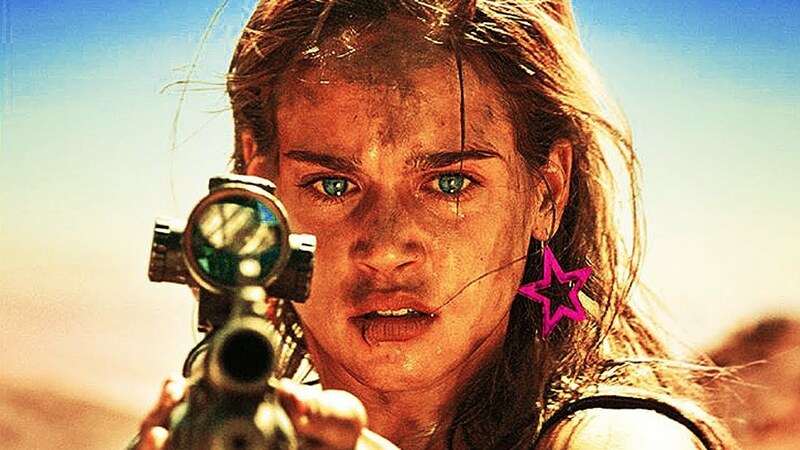 With that being said I’m not here to put people down for having opinions or condemn the websites that rate films, I’m simply here to shed light on some great films that didn’t get the recognition they deserve. So with that, in no particular order, these are 10 Films from 2018 that deserve a higher IMDb rating. With the recent #MeToo movement it may seem like perfect timing for this film to come out when it has. 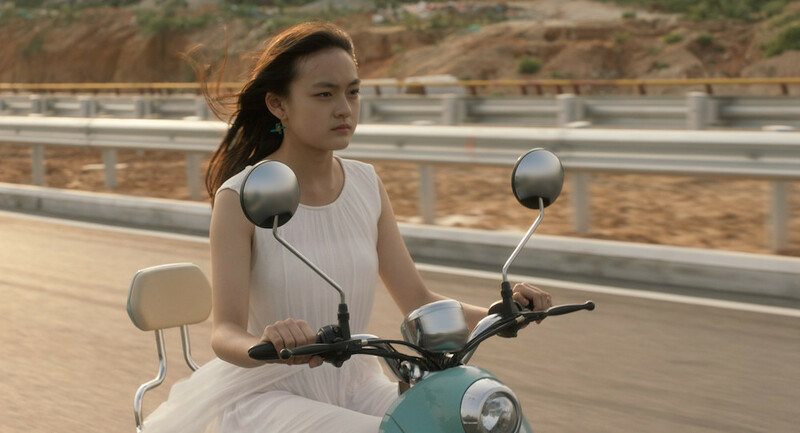 It was initially released in late 2017 in the Venice Film Festival but didn’t see its wider release until this past year in China, so the timing of it is purely coincidental. Nevertheless it couldn’t be any more perfect. Set in modern China in a little, run down motel we follow Mia (Vicky Chen) who works as a cleaner. One night she witnesses a sexual crime where a middle aged man forced himself into a room with two 12 year old girls. She records the security footage on her phone, doesn’t report the incident, and stays quiet out of fear of losing her job. She is an immigrant with no identification and figures she can use this as a bribe tactic to get money for an I.D. card, unfortunately for her she is very naïve. In correlation with this the two girls are dealing with the aftermath of this incident, more specifically Wen who suffers at the hands of her abusive mother. The only character who seems to be any good is the child legal advocate Hao. Everyone else is up to their necks with some sort of corruption, the social and cultural ramifications of China presented feel all too similar to us no matter where we are. For anyone who questions why allegations are kept quiet and don’t materialize for a long time you’ll get your answers here. From the perspectives of the victims, the families, the witnesses, and the perpetrators themselves everyone has something to gain when these horrendous acts occur. And as sad as it may be there’s always the options to profit off these things despite how morally sickening it is. “Angels Wear White” is an important film for everyone to see and deserves more than what it’s getting right now. I often say my favorite kind of horror is the psychological kind, “The Endless” does this in mind bending fashion in which our perceptions of time and reality are constantly questioned. 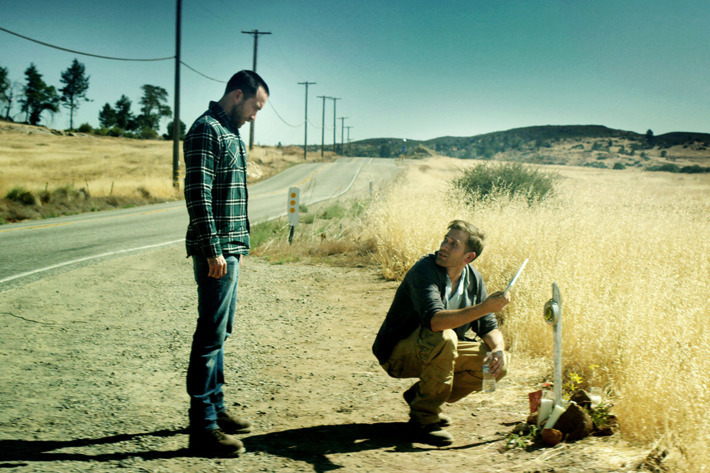 Following two brothers, Justin (Justin Benson) and Aaron (Aaron Moorhead), who’ve escaped a bizarre sci-fi cult in their youth but are strangely attached to it to the point where they return after so many years. Or at least Aaron wants to go back, he remembers it as a peaceful and friendly group of caring people, but Justin describes them as a death cult to all of the news stations. Whether it’s out of desire or fear they return to the camp where they’re welcomed back with open arms, it’s just like Aaron remembers it but the uneasy feeling Justin talks about is felt under the surface. To describe the rest is a daunting task that I simply won’t go into, not just because it’s complicated but because it would rob the film of its enigmatic quality. At various points we see circle related imagery in the sky, in the lake, and pretty much anywhere you look. Soon enough we figure out that this reality is playing itself in circles, deliberately repeating itself in which actions and conclusions, or what we think are conclusions, are constantly in repetition. Through this experience karma, free will, and destiny are unfolding in its complex narrative with each character moving about to either reveal or conceal information. All the while the fundamental quality of its story is these two brothers desperately searching for a home, even if that home is a twisted and psychopathic prison. I’m not always a sucker for nostalgia but this is a tribute work that’s too good to not deserve recognition. A welcome throwback to the anthology horror films of the past, “Creepshow” in particular comes to mind, this brings us back to that special feeling of telling ghost stories around a campfire. The kind of stories based on local urban legends we’ve all heard that may scare us but are just so damn fun to listen to. It’s a special feeling we share in our youth and fittingly “Ghost Stories” bases itself on classic horror stories, techniques, and legends. Largely drawing inspiration from the likes of Kubrick, Robert Wise, and Stephen King this takes us back to what scares are supposed to be. Not cheap jumps or grotesque imagery but rather a classic feeling of tone and atmosphere. To put it simply we follow the events of a pretentious conspiracy debunker who needs to be taken down a peg with the supernatural. The way each story comes along is a tale told to him to make him see the ghosts are indeed real. The stories themselves are classic alone in the dark monster stories and the film has so much fun with each one of its set ups. There’s the tale of the night watchman, feeling guilty of not seeing his daughter anymore, being haunted by a spirit. There’s a story of a teenage boy, distant from his parents and obsessed with the occult, running over the devil itself in the middle of the woods late at night. And a third story of a man being haunted by a poltergeist while awaiting the birth of his child. Each of these set ups are nothing particularly new but that’s the whole point of it all, this is a special tribute piece that understands the fundamentals of what made these stories work and builds off of it to give us a scary, hilarious, and enjoyable look at the paranormal stories we always love to tell. The thing about “Hereditary” that gives it the ability to infiltrate all who watch it is the concepts of family. All of us come from somewhere, even if we don’t have a family we have people who are close to us and feel like family. What “Hereditary” does is break down the facades of family connection, as the events of this film unfold each family member has a new reveal of their true character exposed despite how much they’ve tried to suppress it. 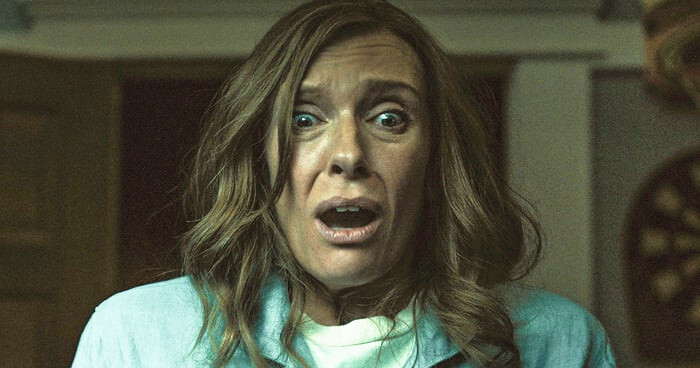 Toni Collette, in what should’ve been an Oscar nominated role, plays Annie Grahm and in the beginning we learn she had a loose connection with her mother when she dies. There’s been a history in her family of mental health that has led to the deaths of all of her previous family members. Whether it’s this disturbing cycle repeating itself with this new generation of the family or a far more sinister presence that’s now haunting them the oncoming horrors awaiting are a curse that’s destroying them from the inside out. It’s these elements that are the most profound about the film. The concepts of family deterioration, mental health, and tragedy are things so many of us know all too well and the brilliance of director Ari Aster is the way in which he weaves these disturbing ideals into the vein of a true horror story. Coming from a mentally and emotionally unstable family myself, the material has a way of digging under one’s skin and forcing us to confront its themes up close. 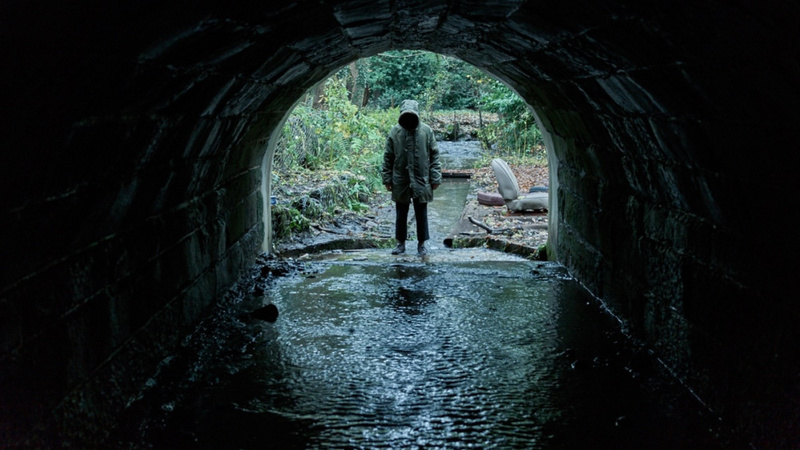 The atmosphere and tone created is the most captivating a horror film has been in some time, so much of the sinister nature it possesses is felt in its background and environment. There’s not many moments of cheap jump scares, thank god, but the overall realizations, haunting memories, and uncomfortable truths are what truly makes horror in our world. A fascinating look at the German film industry from 1933 all the way to 1945 while Germany was under the reign of Adolf Hitler. 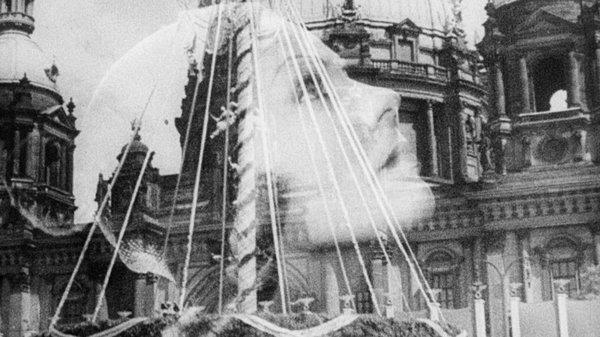 Director, Rudiger Suchsland’s previous documentary “From Caligari to Hitler” explored the same concept but did so with the more famous German films of this time period from the works of Fritz Lang to the infamous “Triumph of the Will”. But this looks at the lesser known films of this time and the various ways in which the Third Reich promoted their propaganda both in obvious and subtle ways. During this era the German film industry made over 1000 films, very few of them were Third Reich indorsed propaganda films, but Hitler’s greatest auteur Joseph Goebbels was an evil genius in this aspect. Suchsland explains how Goebbels was in charge of all artistic and media platforms in Germany during this time from the radio, to theater, to movies. He was truly a master of totalitarian thought control. He knew the most prominent ways to spread to people was through entertainment because this is what has the furthest reach with the common people. What’s most fascinating is how history repeats itself. The current wave of political division is at an incredible height, and as you’d expect filmmakers are taking note. There’s no shortage of political undercurrents in our media and voices to shout what they believe. That or a subdued, unassuming wave of messaging imbedded into their stories because discourse is not working. For this reason “Hitler’s Hollywood” is as important as ever, make sure you learn from history and never fall victim to the same techniques.